New Delhi, Nov 21: The BJP today hit back at Congress chief Sonia Gandhi for her criticism of the government over likely curtailment of Parliament's Winter Session, saying her charge was a "lie" and would rank among the "greatest hypocrisies" in recent times. BJP general secretary Bhupender Yadav said in a statement that the Congress president was resorting to "diversionary tactics" fearing defeat in the Gujarat and Himachal Pradesh Assembly polls. Extending the Winter Session of Parliament beyond Christmas is not unusual, he said, citing precedents. He also referred to Congress vice president Rahul Gandhi's attendance in Parliament, which is "nothing to be proud of", to hit out at the party's record in Parliament. "The barrage of accusations made by the Congress president on Prime Minister Narendra Modi ranks among the greatest hypocrisies of our time. These allegations are totally unsubstantiated and a lie in the realm of rhetoric over reality," Yadav said. Congress's "newfound love" for Parliament is ironical, he said, claiming that it has in the last three years established itself as the "most destructive opposition" in Indian history. "Their sole aim in Parliament has been to disrupt proceedings and prevent debate. Exactly a year ago, when the historic demonetisation was implemented, the Congress single- handedly disrupted Parliament and did not allow a debate on the subject, fearing their own corrupt deeds would be further exposed in front of the country," Yadav said. Attacking Rahul Gandhi, he said in the current 16th Lok Sabha, his attendance stands at 54 per cent while it was 43 per cent in the last Lok Sabha. "His participation in debates, questions and private member's bills is negligible," he said. Under various prime ministers, the Winter Session had been extended beyond Christmas, Yadav said. In 2008, there was a break during the parliamentary session due to the state elections in Madhya Pradesh, Rajasthan, Chhattisgarh and Delhi, he said. "Similar situations were seen in 1981, 1990, 1993 and 2011. In fact, the Winter Session in 1990 began after Christmas, on 27th December 1990 and lasted till 11th January 1991," he said. Considering the party's performance in Parliament, that's rich for the Congress to pontificate on Parliament running smoothly, he said, asking it to walk the talk and cooperate with the government in the running Parliament instead of "stalling" it. 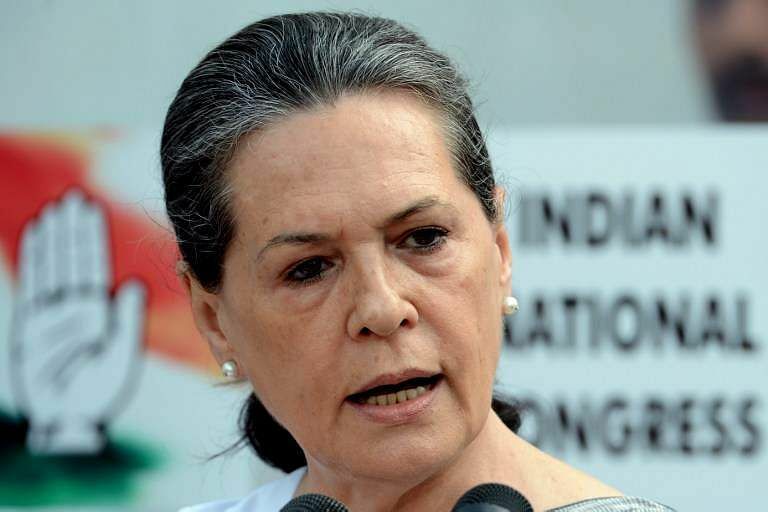 Sonia Gandhi's comments on corruption are also "laughable", the BJP leader said. Starting from the jeep scandal in the 1950s, Bofors in the 1980s to the AgustaWestland chopper scam recently, the Congress has "milked" the defence sector to fill the pockets of a select few, he alleged. "It is the NDA government under Prime Minister Modi that India's defence apparatus is undergoing a complete transformation with zero tolerance to corruption," he said. It was expected that the Congress would introspect after being rejected by the people but it was yet to happen, Yadav claimed. "India's strides in ease of doing business, the upgrade (in ratings) by Moody's, the impressive FDI figures do not matter to the Congress, which is busy devoting time and energy to more fruitful matters such as a coronation ceremony," he said in remarks laced with sarcasm, aimed at the likely elevation of Rahul Gandhi as Congress president.